If you calculate the cost of the average restaurant kitchen, you generally find that the largest investment by some distance is the cooking suite. For most businesses it’s the heartbeat of the operation and therefore any decision that is taken on the choice of brand and specification tends to be carefully considered, with longevity firmly in mind. Manufacturers, in response, are rising to the challenge of providing operators with suites that blend traditional ways of cooking with more modern techniques, while acknowledging the need for flexibility where design and aesthetics are concerned. Plenty has changed over the past 12 months, but there are some familiar themes that indicate the direction the market is heading. The question of payback on the equipment investment, particularly with Brexit and interest rate increases looming large, has certainly come to the fore, says Ian Clow, sales director of Charvet. The benefits of modern induction are well-documented, with advocates insisting it is over 90% more efficient than gas, and boasts a quicker reaction time and cooking speed. “The fact that this technology is developing at a rapid rate means the cost is reducing, so more and more chefs are now becoming aware of those advantages,” notes Wooldridge. Over at Nayati, demand has grown during the past year for bespoke kitchen blocks, which the company thinks is reflective of the growing squeeze on kitchen footprints and the need for operators to ensure they have a good mix of cooking equipment that is reliable and easy to use. “Within the block footprint, many different appliances can be supplied and although the bespoke blocks seem large, these are often the perfect solution for small kitchens as they offer a complete solution,” says operations director Mark Reid. So where are cooking suite trends going in 2018, and what factors will shape the choices that operators make during the coming year? The emphasis will lean ever further towards build quality, durability, performance, ‘cleanability’ and user-friendly controllability, suggests Falcon’s Hall. “With the increase in theatre kitchens and front-of-house cooking, aesthetics will continue to be an important buying factor. That’s where the latest cooklines, such as our F900 series, really score. They deliver the looks and hygiene benefits of a one-piece top with the functionality of a modular suite. What’s really important is that, as well as looking great, they make life easier for everyone, they are easier to access for service, maintenance and cleaning, and it’s easier to rearrange units in case of a change of menu, change of chef or a breakdown,” he adds. Space will most certainly be at a premium again, especially within big cities, which could drive demand for bespoke suites that allow chefs to get higher productivity from increasingly smaller spaces. 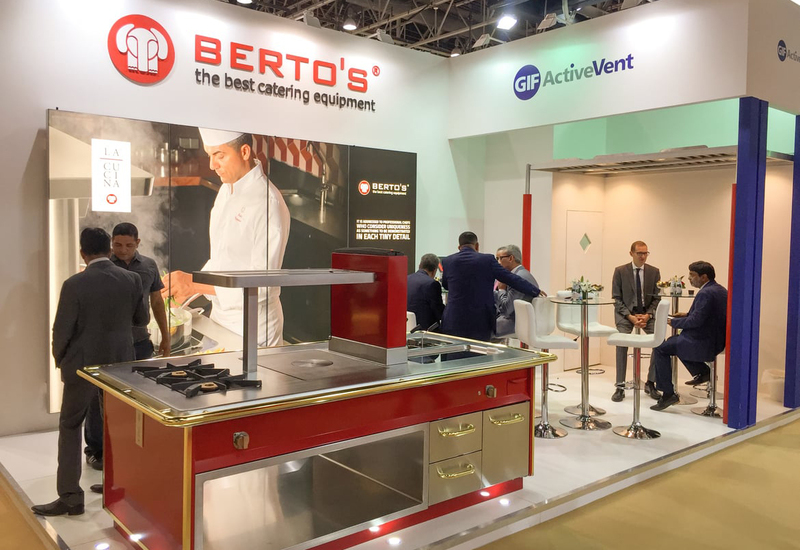 Suppliers such as Grande Cuisine, importer of Athanor, Capic and Mareno suites to the UK, report seeing more engagement between chefs and manufacturers as they seek a solution that delivers the best combination of space saving, energy efficiency and ergonomics. 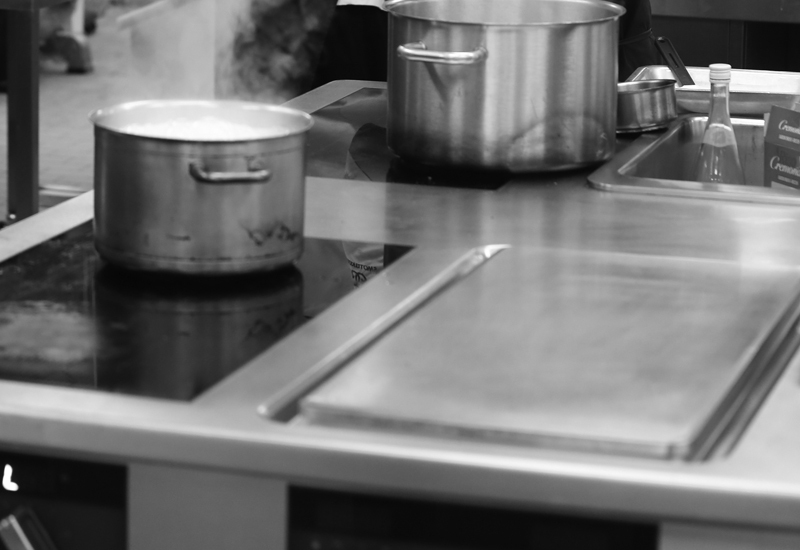 “Undertaking the installation of a new suite, either as part of a new build or redesign, is the perfect time to review how the kitchen actually operates and with it an opportunity for the chef to change working practices in order to make personnel more efficient, maximise the available space and produce a more comfortable working environment,” notes managing director Steve Hobbs. 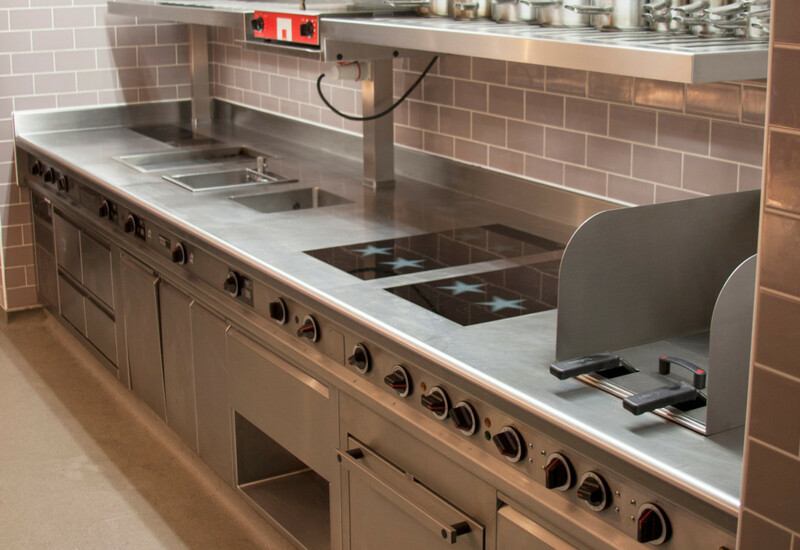 Trevor Burke, managing director of Exclusive Ranges, also foresees greater appetite for a more managed cooking solution, and says operators will be analysing the lifetime cost of the investment in their cooking suites. Steve Morris, sales director at Jestic, which recently gained the rights to distribute Rosinox suites in the UK, believes there is still a significant trend in new Asian cooking methods, particularly using Vietnamese styles, flavours and ingredients. As such, he expects cooking suites to continue to innovate in this area. With modern kitchens on the high street being worked harder than ever, the demand is for equipment that can keep up with the pace. That’s something that Charvet can vouch for. 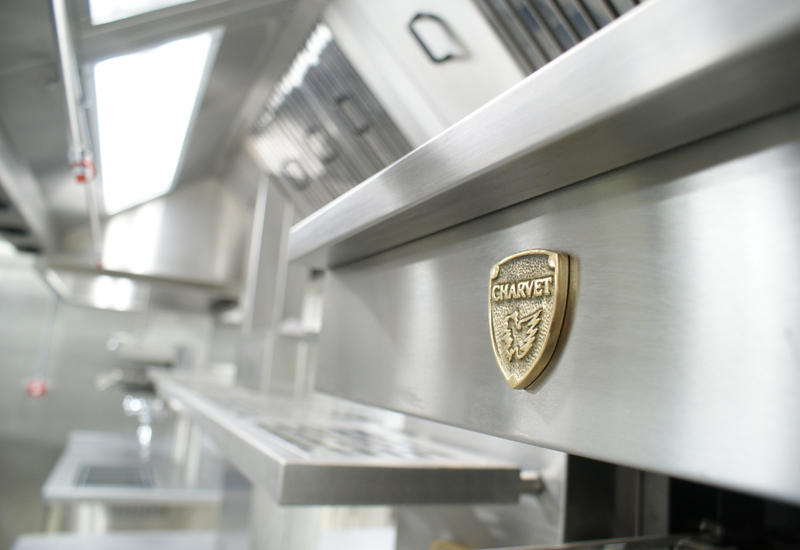 It launched the Charvet One range to provide a more modular solution for multi-site operators that want durable cooking equipment, and Ian Clow insists the move has proved justified. 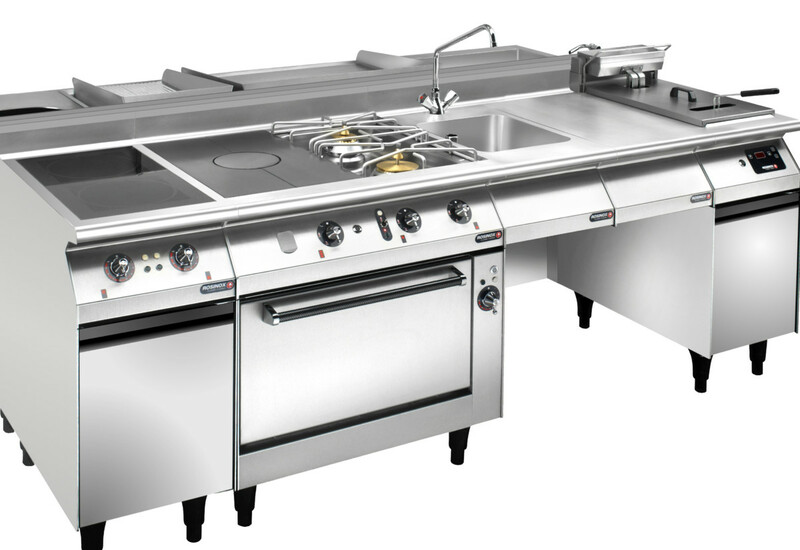 “Our chain customers asked for a classic 6-burner range in the Charvet One format because they found that other equipment simply does not stand up to the punishment of working in a modern kitchen. The cookline — especially in chains operating all day — is running from morning until midnight and operators have discovered to their cost that buying on a low-price criteria means that equipment fails relatively early in its working life,” he says, adding that increased maintenance costs tend to add up to more than the price difference for buying heavy duty specs in the first place. Now that 2018 is here, is there anything on the horizon that will bring new functionality or features to cooking suites? Or have traditional cooking suites been engineered as far as they can go? The fact that more and more chefs are taking time to explore whether they are making best use of their appliances could also potentially impact on the future design of suites. Could they, for example, benefit from replacing two or more pieces of equipment with one that is multi-functional? 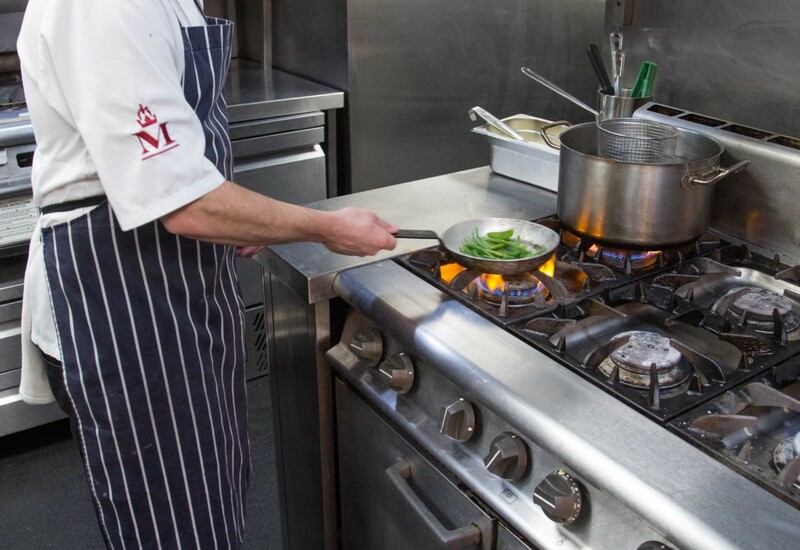 The growth of multifunctional cooking equipment is also on the mind of Hobart Cooking Solutions. Sales manager, John Stewart, says the popularity of this kind of kit means that cooking suites can become smaller. New product launches are on the agenda for a number of manufacturers this year. Nayati, for instance, will be launching its newly-developed Meritus series, which builds on the success that it has had with the range over the past three years. Ultimately, says Jestic’s Morris, the future of cooking suites continues to be focused on certain key areas: flexibility, reliability, ergonomic configuration, efficiency and attractive design. “The constant advances in technology are enabling manufactures to design smaller appliances with the same output and versatility of older, larger appliances, while investment in the latest induction cooking is achieving outstanding efficiency and ongoing sustainability,” he concludes. Energy efficient cooking suite advocates have long championed the advent of ‘smart’ suites that are designed to be part of the whole building management system for energy consumption. 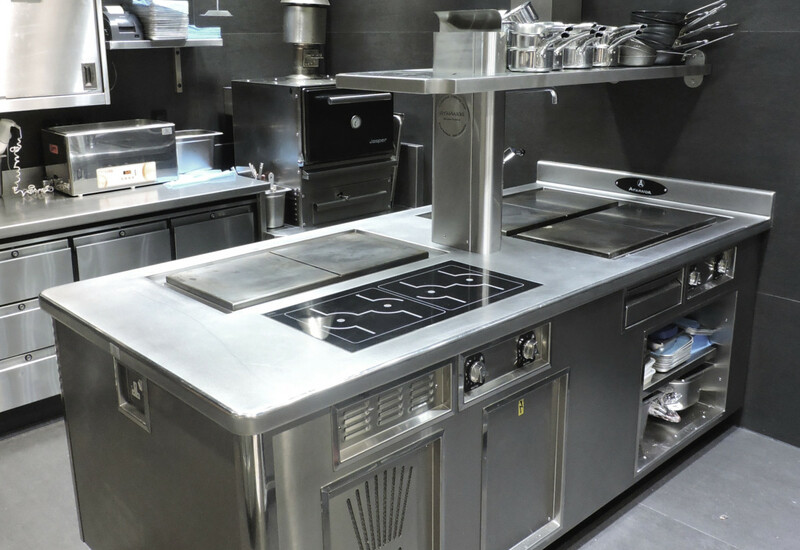 One example of this is the new Mareno IChef range, which is already configured to run with building management systems and won the Smart label award at HOST this year. IChef appliances, which are designed to be suited, come with an exclusive system specially created by Mareno to control all its multiple functions. The touchscreen’s bright display panel is always clearly legible, under all lighting conditions, so anyone working in the kitchen, from any position, can maintain complete control of all operative settings. “Gone are the old profiles with traditional knobs and in their place are ergonomic designs that facilitate cooking, and cleaning, in the kitchen,” says Steve Hobbs, director of Grande Cuisine, which manages the brand in the UK. 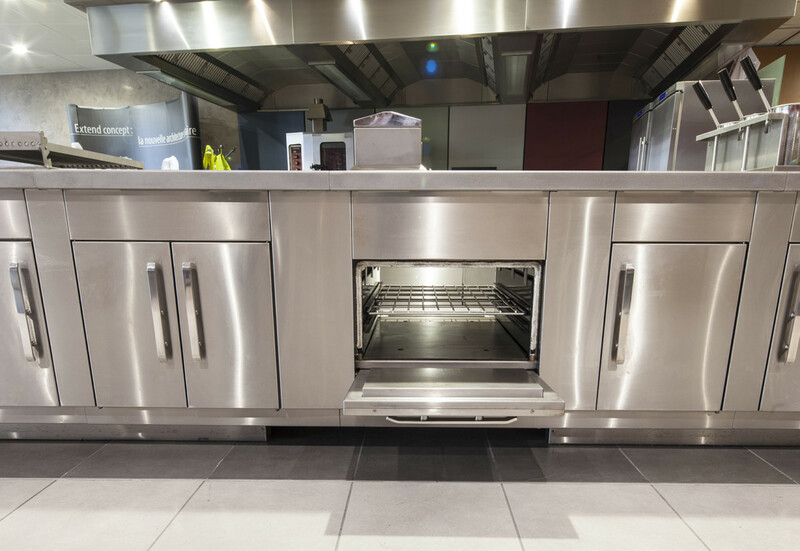 The changes already seen at the top end of the cooking suite market, in terms of higher capital spend and more interest in the lifetime cost of a cooker, will move into the middle market, according to Trevor Burke, managing director of Exclusive Ranges. filter down from the high-end part of the market,” he predicts.